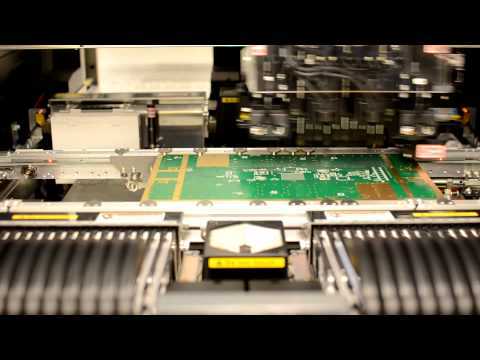 Here at Spinnaker, our assembly process has been designed to accommodate all variations of PCBs, from small to large, single- or double-sided boards, ridged, flexible circuits and mixed technology. We run both leaded and RoHS/Lead-Free Surface Mount Technology (SMT) lines as well as wave solder equipment for both RoHS and leaded processes. Many of the boards we build are mixed technology with critical and active RF components. Our manufacturing process allows for the highest quality product through process automation, environmental controls, automatic optical inspection (AOI) and flying probe at the best competitive price. Our state-of-the-art SMT room boasts one of the fastest lines in New England, capable of placing one million parts per week. The value of our continued investment in our technology and our clients’ products can be seen through our equipment list and rigorous quality and test procedures. Our commitment to zero-defect products starts with the receipt of our material and follows every assembly through completion. Our first-piece validation and test methods, universal to all our services, is critically important for PCBAs and where our team utilizes advanced traceability, quality control, and test to ensure each board is flawless.